Chateau de Chantilly. - L'Escalier d'Honneur et le Vestiblue. 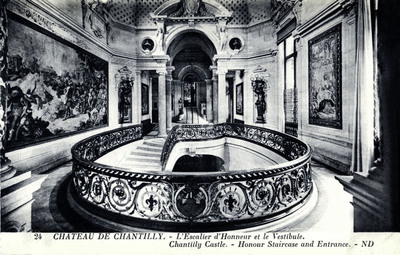 - Chantilly Castle - Honour Staircase and Entrance. One black and white postcard with a divided back. The postcard was published by Levy & Neurdein Réunis at 44 rue Letellier in Paris, France.